As global competition grows more fierce, companies continue to look for ways to increase their competitive edge without jeopardizing profit margins. Today's corporations are starting to realize the competitive advantage that Information Technology (IT) can bring to a company. These corporations are also realizing that staying current with technology requires a great deal of effort, risk, and expense. This is one of the primary reasons CEO's are considering outsourcing as an alternative. 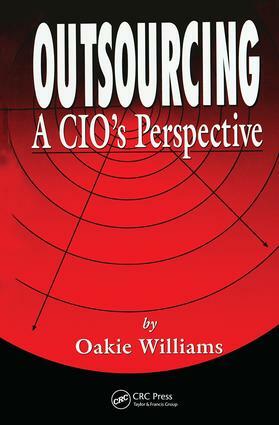 Written by a CIO who has successfully maneuvered through the outsourcing process, Outsourcing: A CIO's Perspective addresses the realistic expectations and the most commonly asked questions about IT outsourcing, while reviewing it's advantages and disadvantages. This text identifies key elements that can be used to assess the feasibility of securing a profitable and manageable outsourcing agreement. It provides a convincing case that even if the final decision is to not outsource, the result of the process will identify potential business improvement opportunities.